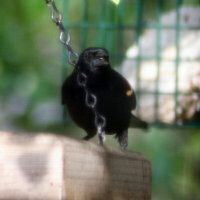 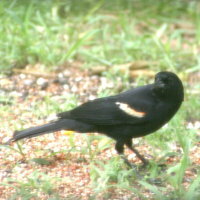 Redwing Blackbirds are a common sight on the West Coast of Florida. 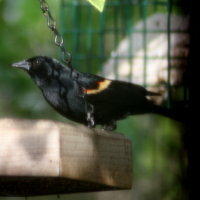 They often visit our backyard feeder in Port Richey Florida. 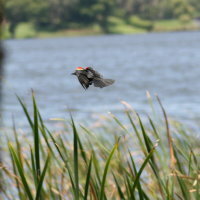 The pictures of the Redwing Blackbird in flight were taken at Meadow Oaks Golf Course in Hudson Florida. 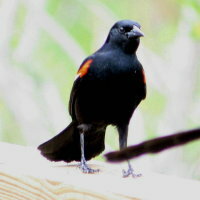 You can also see these birds along the marsh lands near the Gulf. 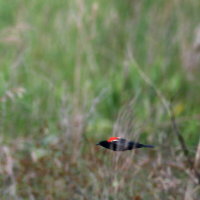 The bright red on their wings really stands out when they are in flight.